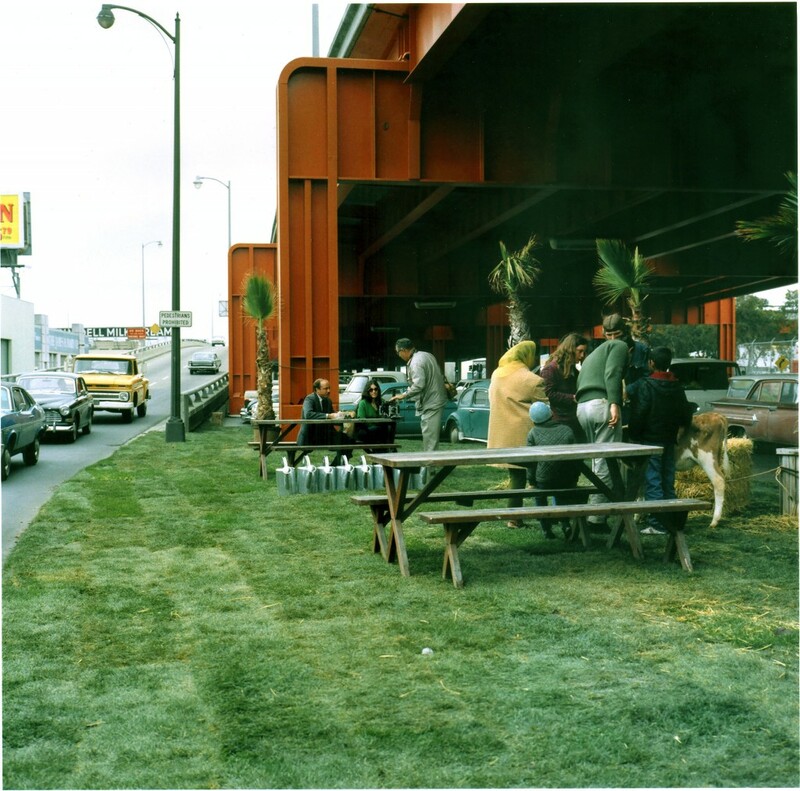 B. Sherk installed three Portable Parks on elevated freeways and downtown streets of San Francisco, bringing sod, palm trees, picnic tables & cows to bemused drivers & pedestrians. She created these bucolic oases as public Art, because she was not interested in just having objects confined in a museum. 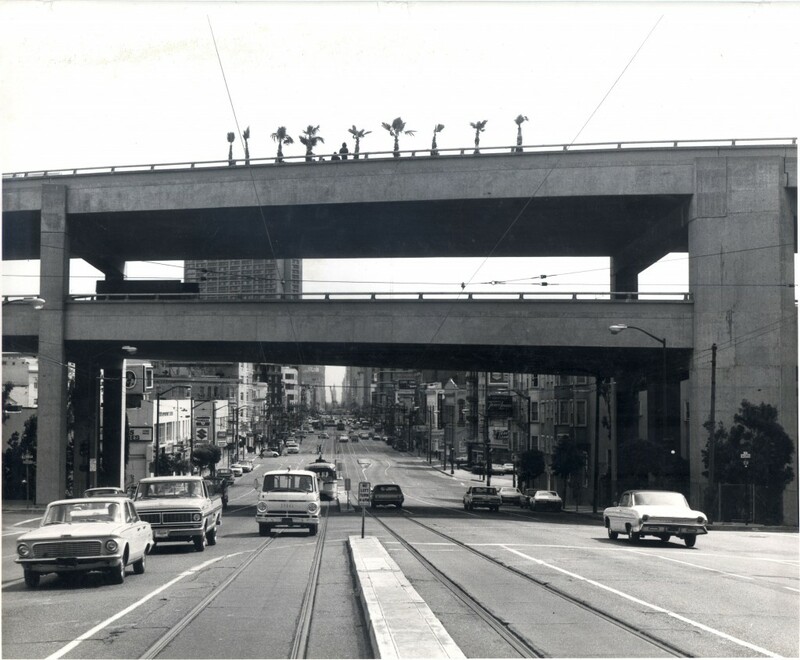 To create temporary green environments for the public to use within the city.